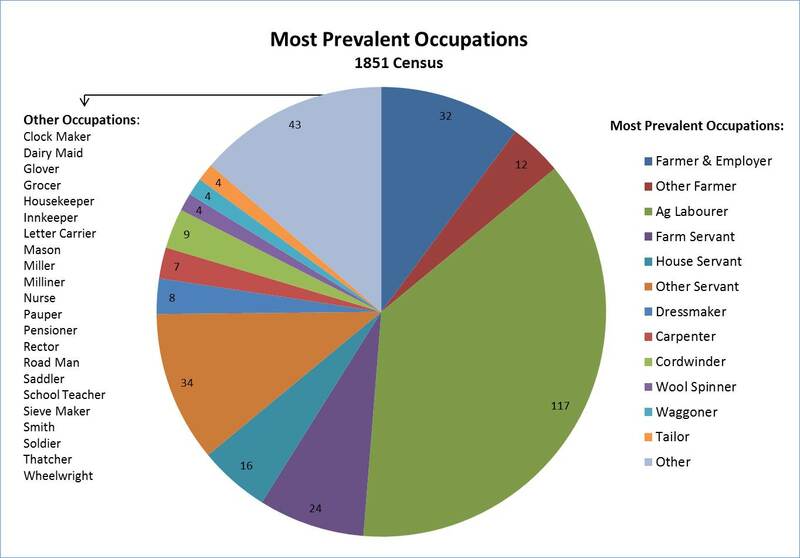 These charts are derived from the census ‘Occupation’ field with some grouping of like occupations. The 1851 occupation statistics represent 314 (45%) of the total 696 Bratton Clovelly residents, the remainder being made up of 28 scholars (4%) and another 354 (51%) with no occupation specified. 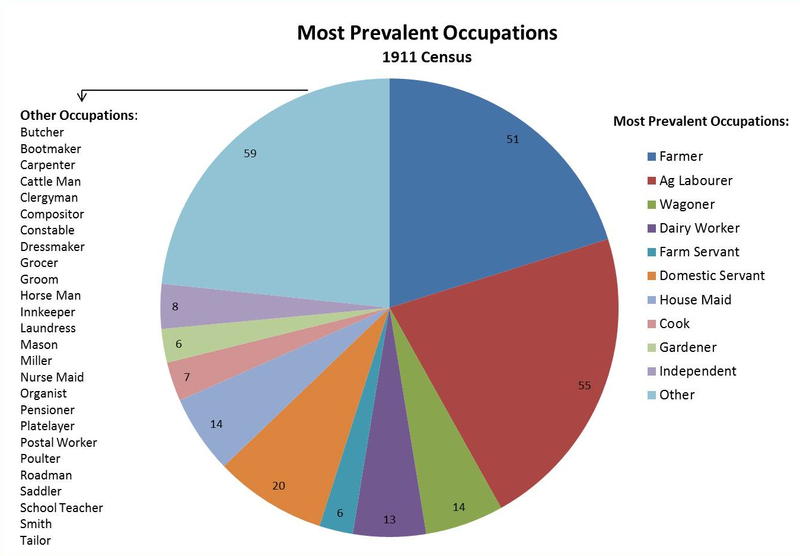 The 1911 occupation statistics represent 253 (61%) of the total 413 residents, the remainder being 46 (11%) scholars and another 114 (28%) with no occupation specified. Both percentage-wise and actually, there are more farmers perhaps reflecting broader access to land ownership. There are less agricultural labourers and farm servants, perhaps reflecting the impact of industrialisation as well as more people farming their own land. There are many more children identified as scholars, reflecting increased access to education and changing legislation. Although this requires a closer look, there appear to be many more women listing occupations. Potential explanations might be economic challenges, changing social norms or impacts of modernisation on the workload within their own households. There are more transport workers for roads and railways (platelayers). Some occupations no longer appear such as wool spinners, thatchers and those identified as paupers, but new ones have appeared.